Due to violence in Honduras, the U.S. State Department issued a “Travelers Warning” on November 21, 2012. The Diocese of Dallas has a policy that states it cannot support missions into countries that have Travelers Warnings. As a result of this warning, all mission trips to Honduras are on “hold” until the warning is lifted. The Embassy in Honduras has had several virtual on-line “Town Hall” meetings discussing the changes that the Honduras government has been implementing to improve the safety for Americans traveling in Honduras. This encourages us to think that a change may be coming about in the future. We went through this process in 2008 and I am hopeful that we will see a change in the State Department policy soon. In this time that we are not able to travel into Honduras it is my hope that we can create new ways of supporting the mission by developing ways to support and scholarship education programs, providing medicine for the poor, even dreaming of building a Catholic Medical Clinic for the poor, and evangelization through RCIA. I would like to continue to develop plans for our mission relationship and help prepare missionaries for when we can return. Read full letter from Deacon Charlie Stump by clicking here. 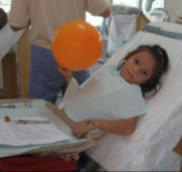 This is a general invitation throughout the Diocese of Dallas for a Catholic Dental Mission to Honduras this year [Postponed] . For those of you that have been on the Medical Mission or the Youth Mission you are very aware of the many needs of the people in our Sister Diocese of Trujillo. Because of the unavailability and the expense of dentistry we know that many people suffer from lack of dental care. A few years ago on one of our Medical Missions Dr. Omel Cardenas and Alex Garcia saw several parishioners at Bonito Oriental and preformed many extractions not only the elderly but several young adults and adolescents. It is my hope that we will be able to help some of these people plus have an opportunity to provide dental hygiene education to the parents and children to make a difference in the next generation. 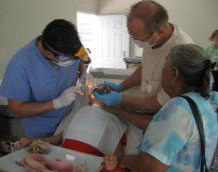 The Dental Mission trip is funded by a donation of $1500 from each participant to pay for airlines, housing, hotel, transportation, meals, water, and taxes. Please have anyone that you know that would be interested in going on a mission trip to Honduras contact our office for more information. It is my hope that we can recruit at least five dentist, along with eight hygienist. If we can reach this goal we will need at least 15 to 20 support people and translators to go along. It means working many long hours in the heat, cold showers, and no air conditioning but the satisfaction of serving the people of God and sharing the faith. Dental Mission Details and Application Form (PDF).